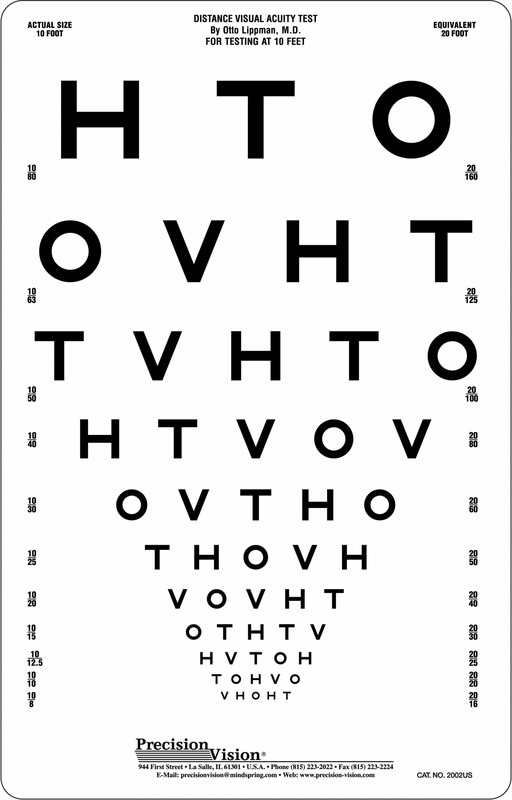 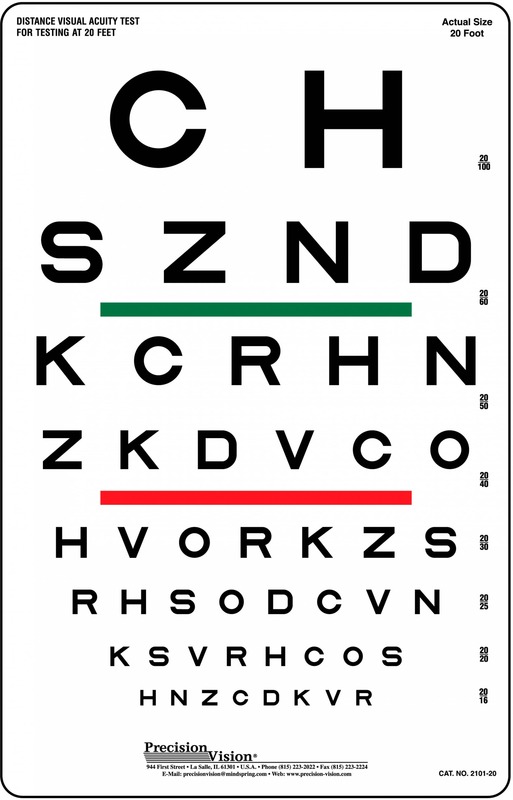 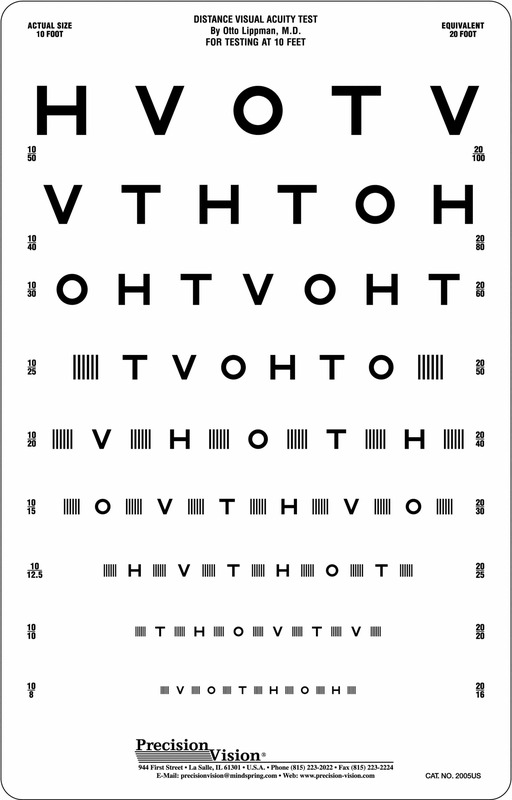 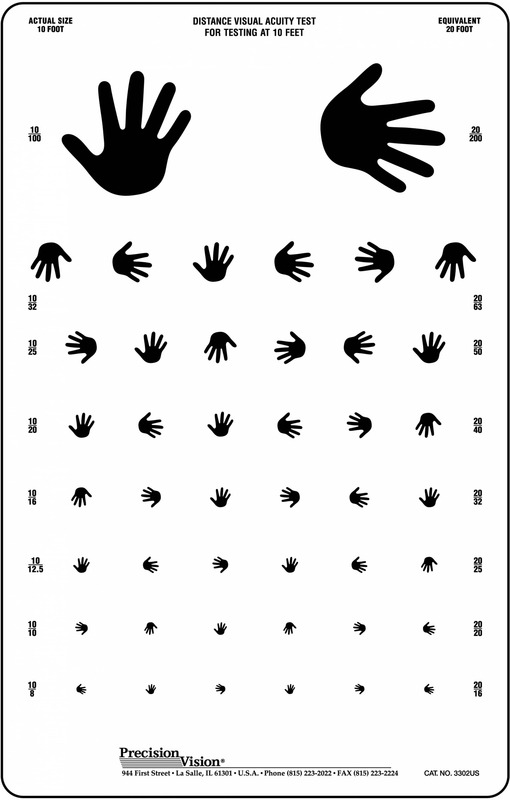 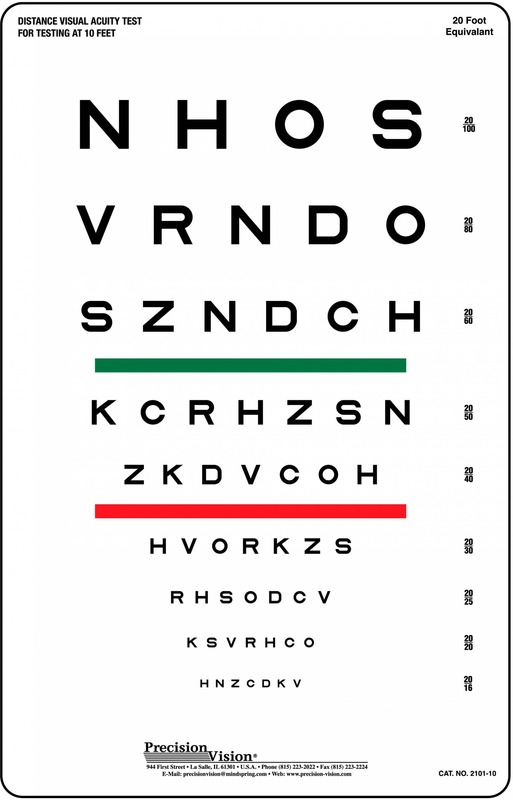 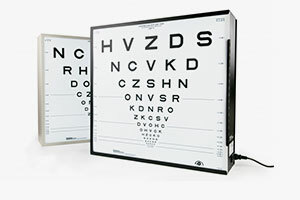 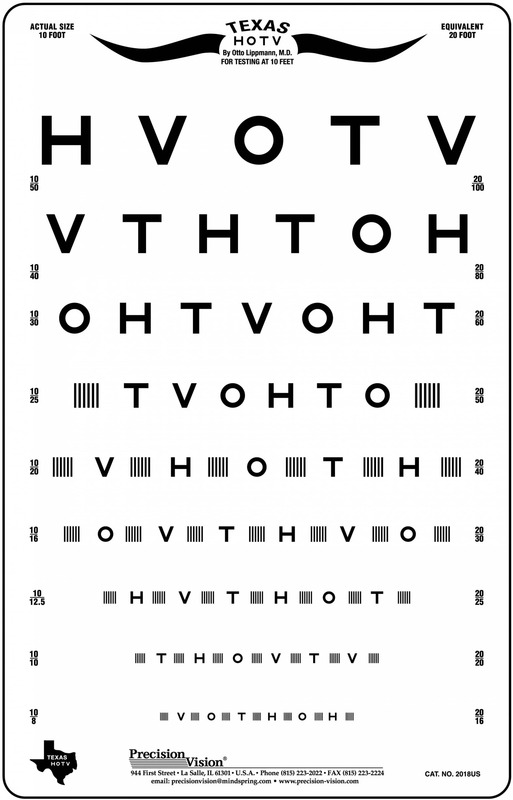 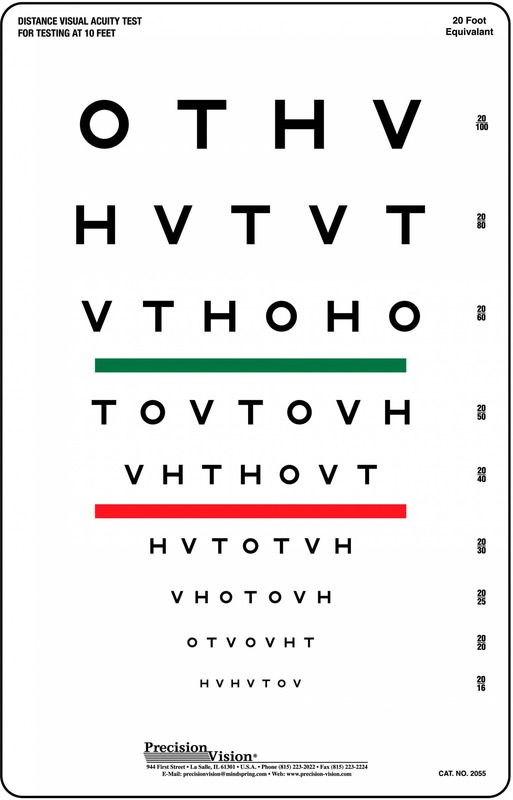 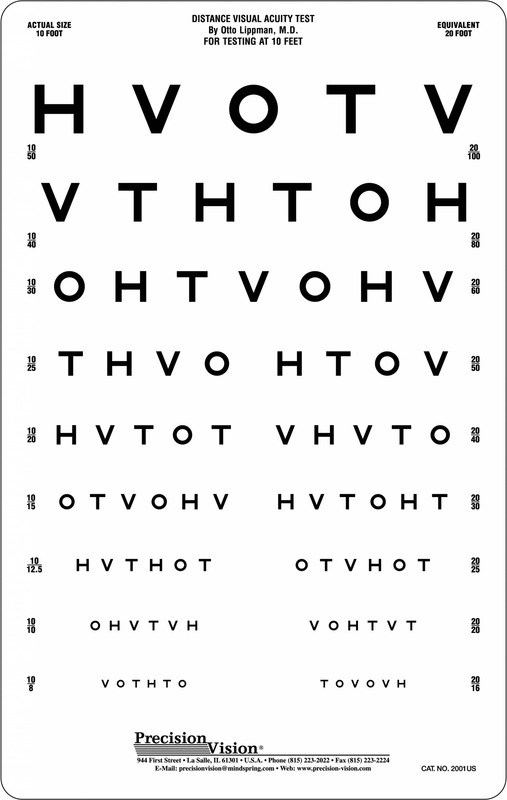 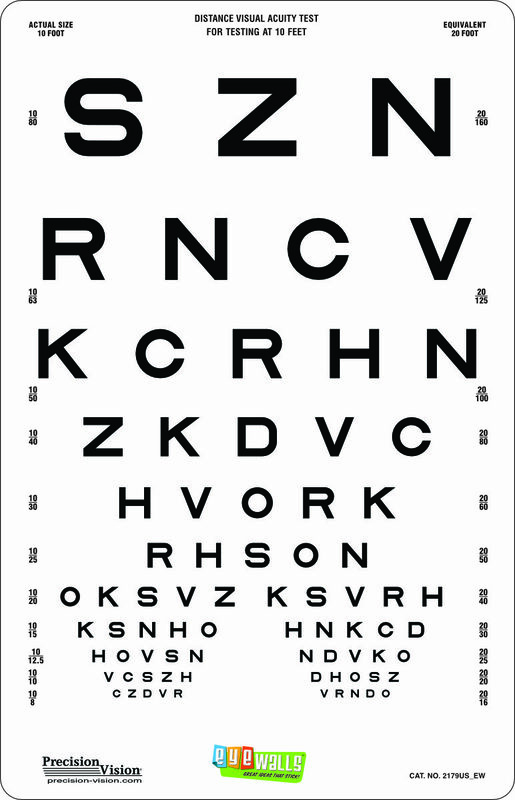 Precision Vision offers a large variety of pediatric testing eye charts for efficiency and accuracy. 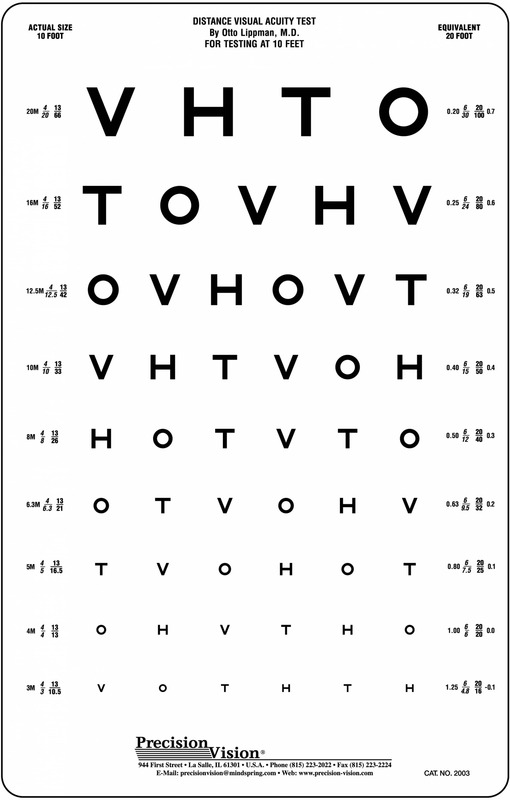 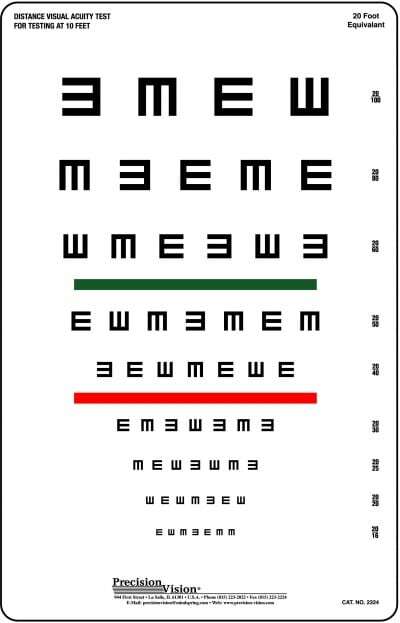 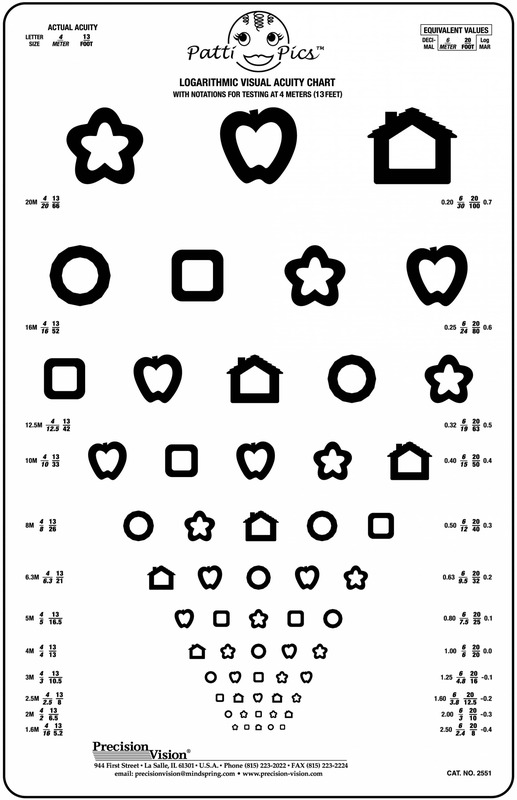 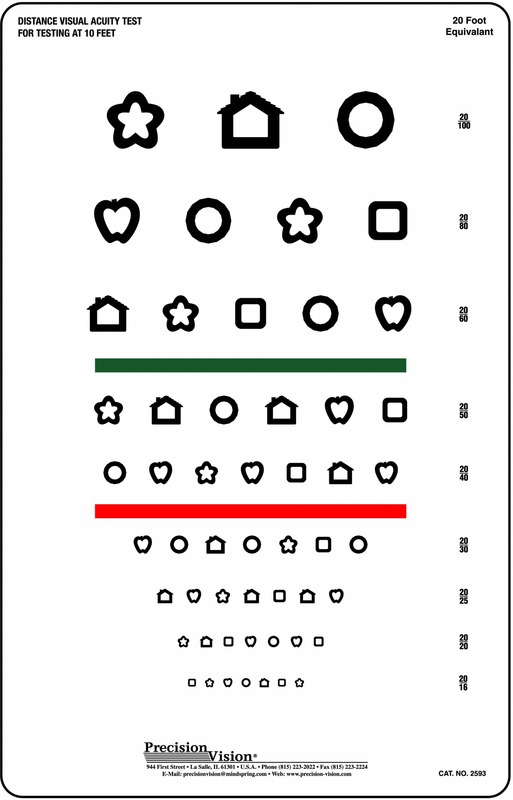 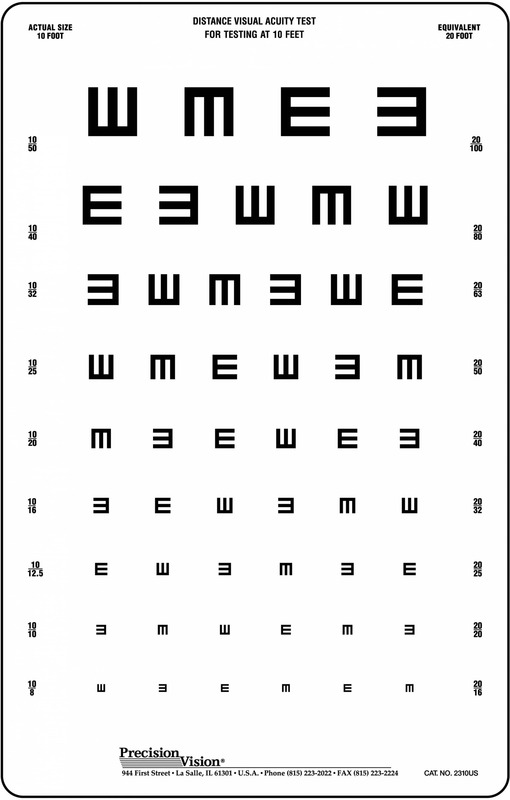 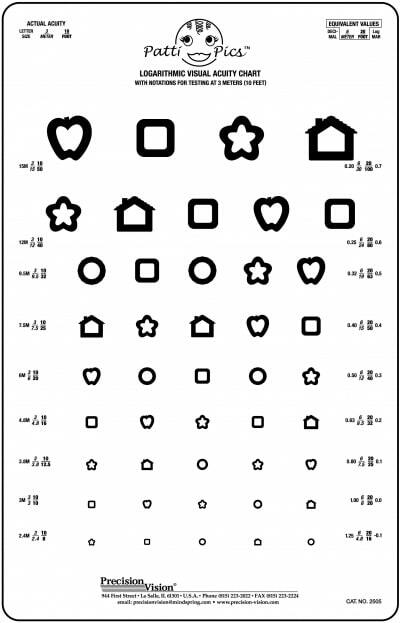 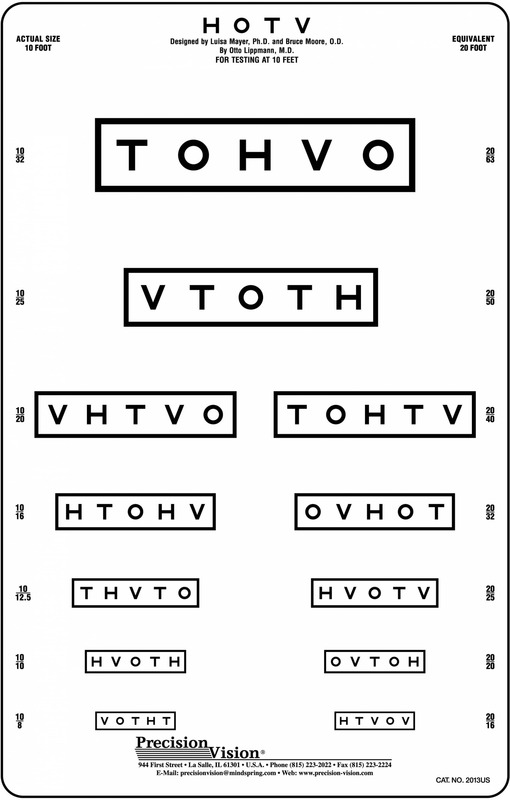 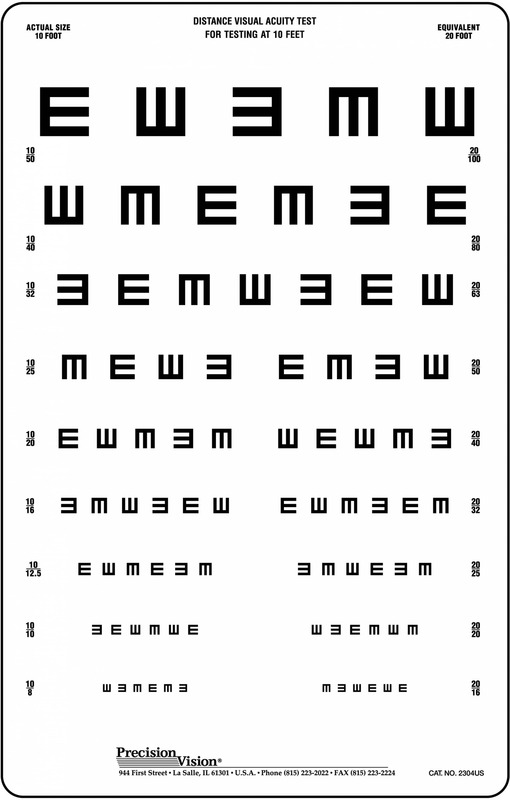 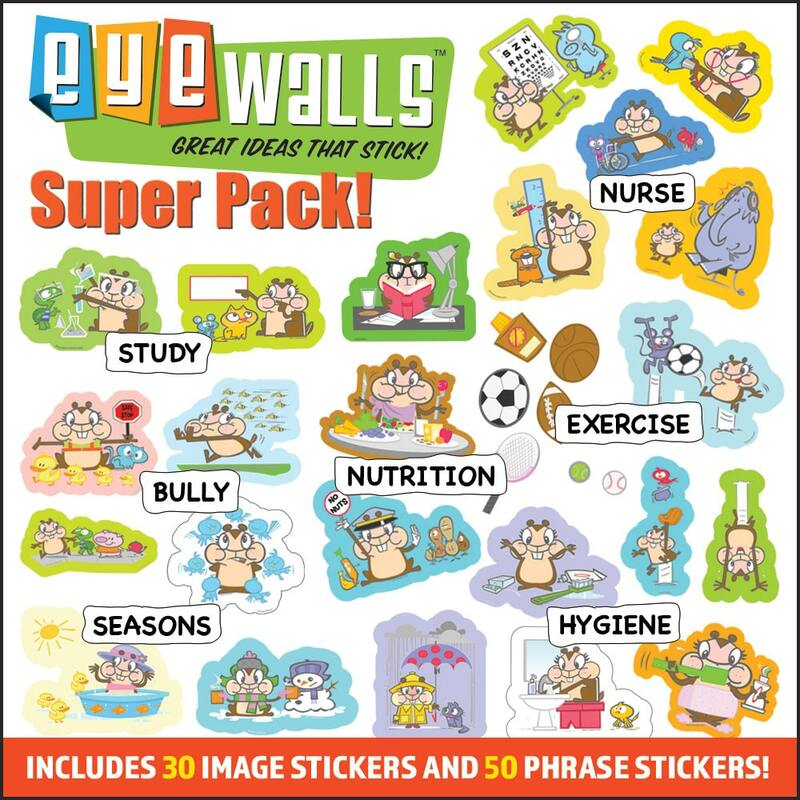 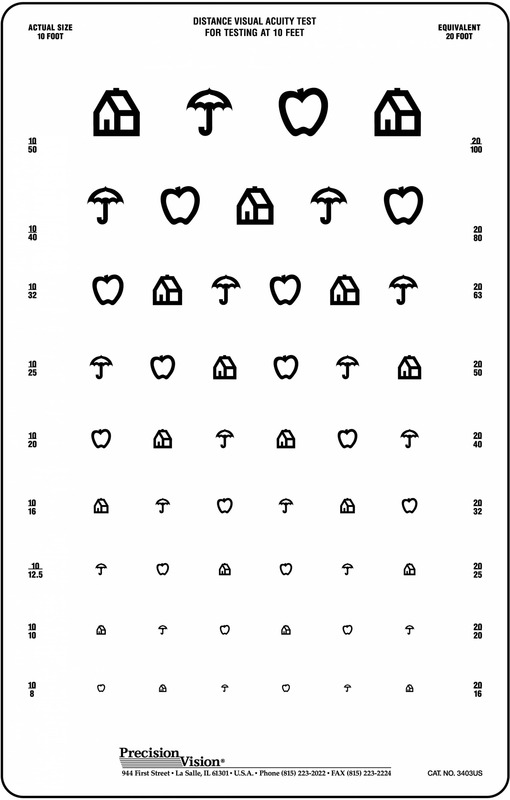 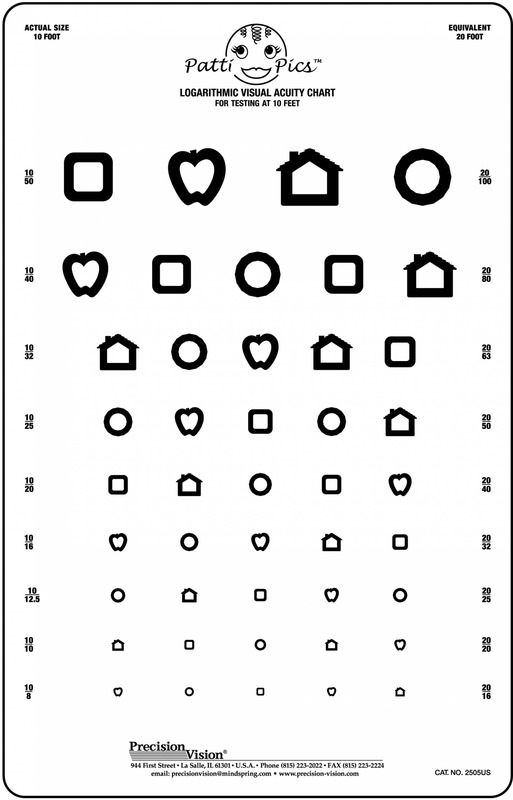 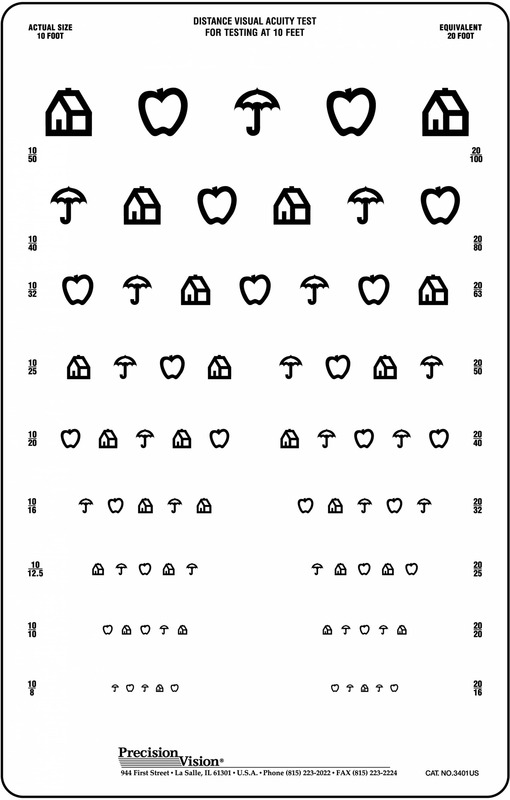 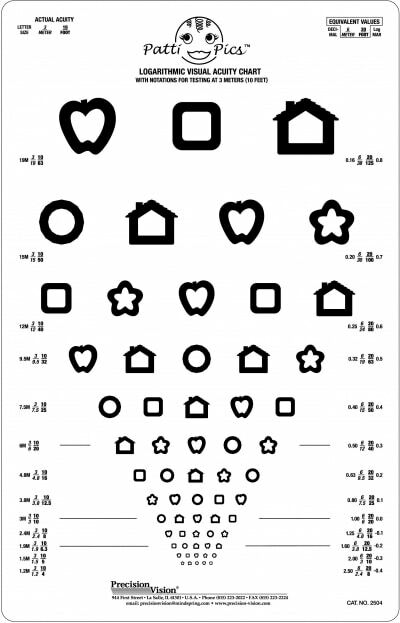 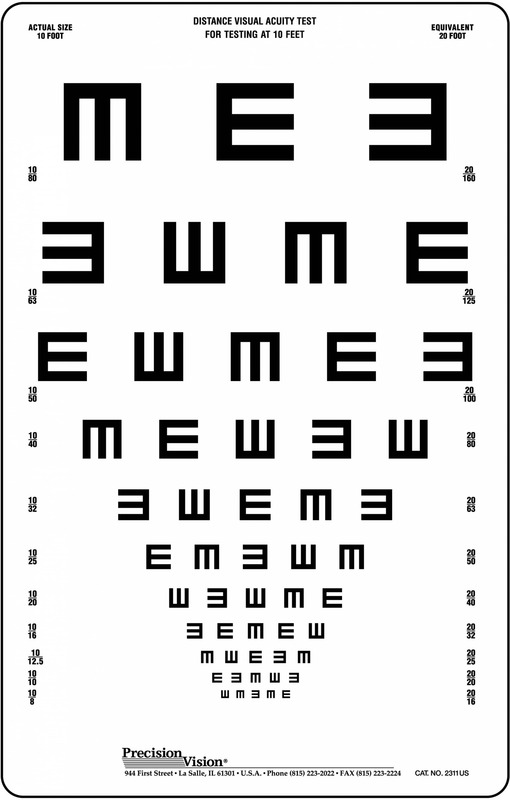 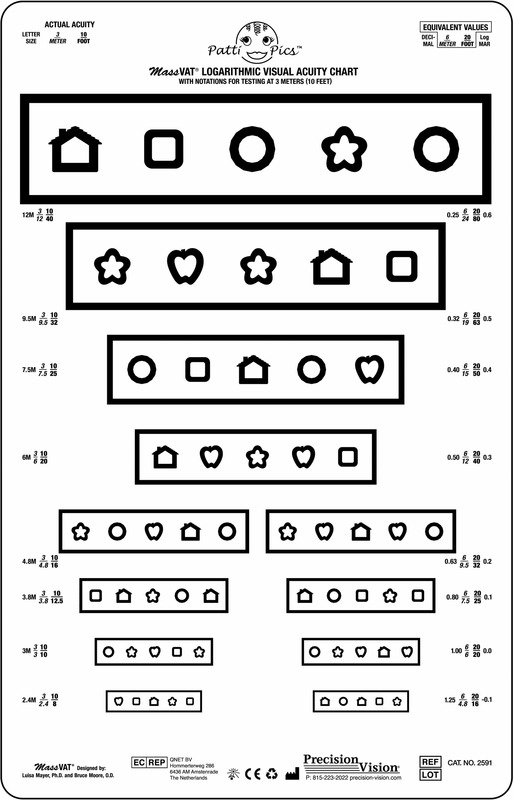 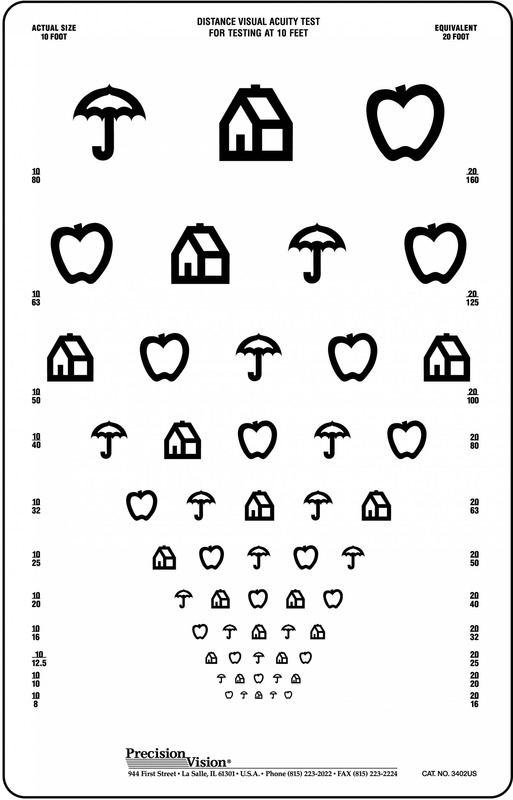 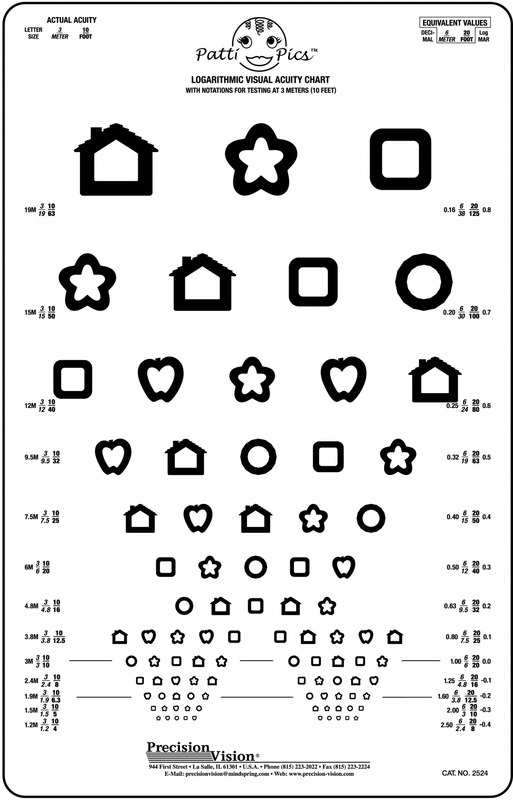 Our eye charts offer you a choice of simplified symbols or pictures stylized for younger patients where recognition of letters and numbers is not trivially easy. 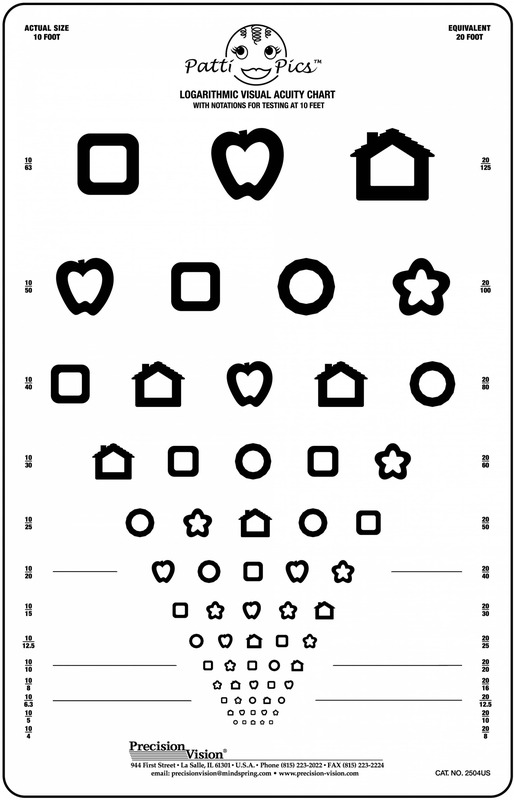 All of our pediatric eye charts adhere to the same stringent industry standards as do all of our charts.